Description: 2002 Sterling s/a c/w Etnyre t/a oil distributor, Caterpillar C15 6 cylinder diesel engine.13 speed transmission.9142 hours,Etnyre 13627 litre,3400 gallon capacity. Cahr-Lynn hydraulic pump, folding sprayer arms, propane heated burner. 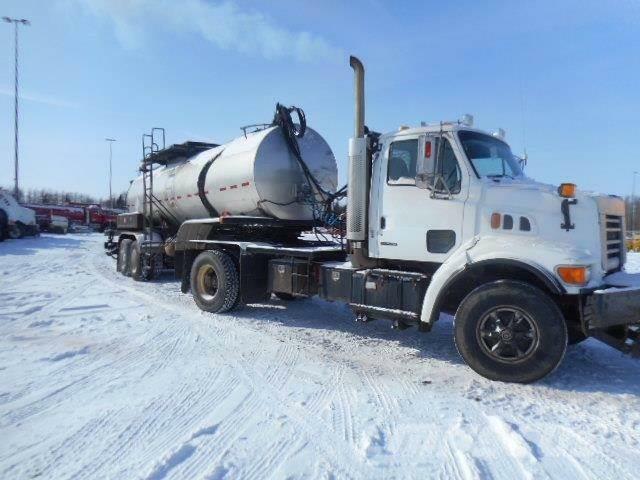 Gvw 17055k,6622 kg front axle,10432kg rear axle,315/80r22.5 tires front.1100R22.5 rear tires. ex county unit.